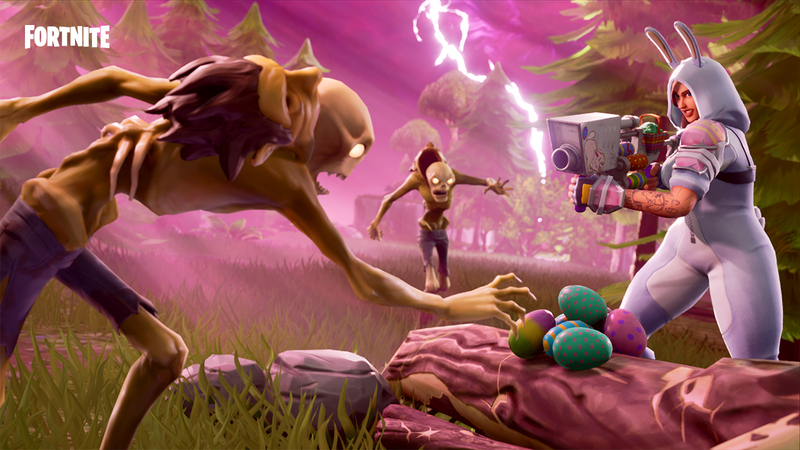 Fortnite, Epic Games’ massively popular sandbox survival title, received a colossal update – v3.4 – this week across all platforms that adds a ton of new features and addresses multiple bugs (Epic even dropped a second patch shortly after to shore up a few new / lingering issues). Perhaps the biggest addition introduced in v3.4 is a new weapon, the Guided Missile. Offered in two rarities (Epic and Legendary), the new weapon does 1,000 damage to the environment and can deal out up to 110 damage to players. Its projectiles travel at 1,300 units per second, Epic says, and the launcher itself has a health of 100. The patch also brings back Sniper Shootout, albeit with a few changes. Epic has added the Hunting Rifle and Crossbow and removed the Revolver. The downed state has also been removed so once you’re down, you are immediately eliminated. Version 3.4 additionally introduces some major performance optimizations. On the Xbox One and PS4, for example, Epic removed the 30 FPS mode in favor of the superior 60 FPS option. Epic also improved texture filtering sharpness on consoles and increased texture resolution on the Xbox One. The full changelog for patch 3.4 can be found over on Epic’s website (be warned – it’s very long).